Kendall Jenner has discussed her famous sisters' closets - and revealed who doesn't like to share! | HELLO! Imagine having access to the closets of Kourtney, Kim and Khloe Kardashian. For Kendall Jenner, this dream is a reality. The supermodel has rated her older sisters' wardrobes and, unsurprisingly, she likes to take a little something from each of them. Kendall, 20, opened up to PeopleStyle about sharing among the siblings, confessing that one of her family members isn't quite as generous as the others. The supermodel explained: "Khloe has the best shoe selection and she's my size. Kourtney has good statement pieces. Kim has amazing things you could never find [elsewhere]." According to the publication Kendall even raids 60-year-old mother Kris' accessories collection for 'big diamond studded earrings'. But one person who doesn't allow Kendall free reign over her closets is younger sister Kylie. "We're all super-generous minus Kylie," Kendall admitted. "Kylie and I always fight over clothes. It's, like, a problem. But it's because we grew up together and we just grew up fighting over clothes." 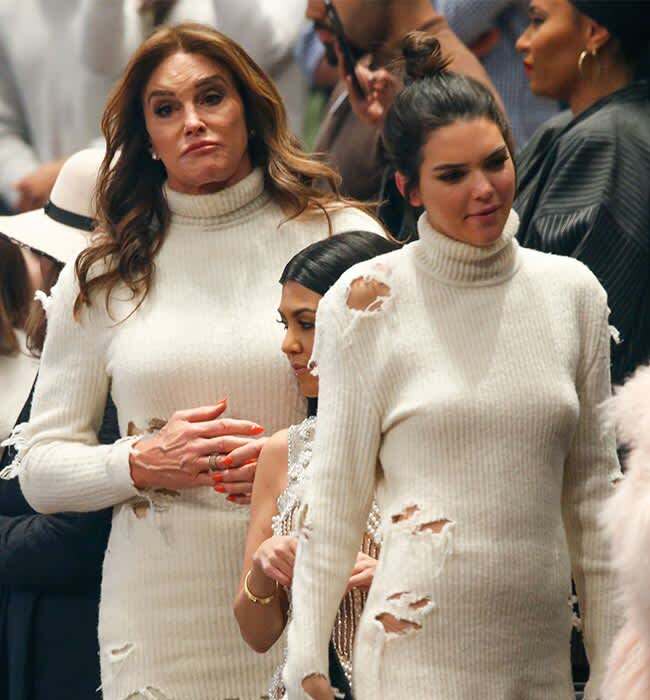 And it looks like Kendall is inspiring family members herself, after Caitlyn, 60, revealed she and Kim Kardashian are her style icons. Speaking during an E! News press junket, the ex-Olympian, formerly known as Bruce, revealed she leaned a lot about being a woman from her children. "I realised the importance of your presentation," Caitlyn explained. "I did kind of get slammed by the community. But for me, I get photographed every day of my life. If it's not the paparazzi it's a selfie, and they post it."